Whelp… I caved in and did it. No, I didn’t get a new, questionable tattoo or pole danced in Dundas Square. I actually went and tried kombucha tea! Ingredients: water, organic brewed green tea (water, organic green tea leaves), organic kombucha (water, organic cane juice, organic oolong tea leaves, yeast and bacteria cultures), organic cane juice, organic lemon extract, carbon dioxide. For those of you who aren’t familiar with this new trendy drink, it’s tea with added live culture like yeast and bacteria to naturally create fizzy bubbles like in pop and beer. Why, yes! Fermentation DOES occur with certain sugar-based beverages. Not only is it the main reaction that creates alcoholic beverages like wine, beer, vodka and many blacked out, vomit-filled nights around the world, it also causes food spoilage. I think you can see why I was so hesitant to try it! Anyway, I found this can at the Richtree Marketplace convenience store in the Eaton Centre mall in downtown Toronto and decided that it was a good day as any to be culinarily adventurous. I picked the green tea and lemon variation over the original just because I figured that some extra flavouring would help me get over the fact I was drinking yeast. The lemon extract flavour did come out quite well with a good amount of sweetness and the astringency from both tea leaves was very noticeable, even through the very distinct yeast flavour. And I mean VERY distinct. The recurring thought I had while drinking the kombucha tea was that it felt like I was drinking a the dregs of a very strong, very yeasty and possibly spoiled stout mixed with sweet lemon tea. And that’s a really weird combination, even for me! The most prominent factor for me was this: It left a very unpleasant aftertaste on my entire palate and left me kind of bloated, not unlike downing half a pint of Guinness in a few gulps but without the buzz that comes with it. After doing some light research, I found out that kombucha’s supposed to be a sort of cure-all tonic back in the older days, but there’s no real scientific backing to any of these claims. This would be why I couldn’t find any health claims besides the organic certification on the can! Verdict: 1.5/5 I do appreciate the all-organic ingredients that they sourced and the lemon green tea combination, but I can’t get over the fermentation flavour and how it tastes like a badly-made beer. Have you tried kombucha tea? Do you like it? Maybe I need to try a different brand. Any suggestions? 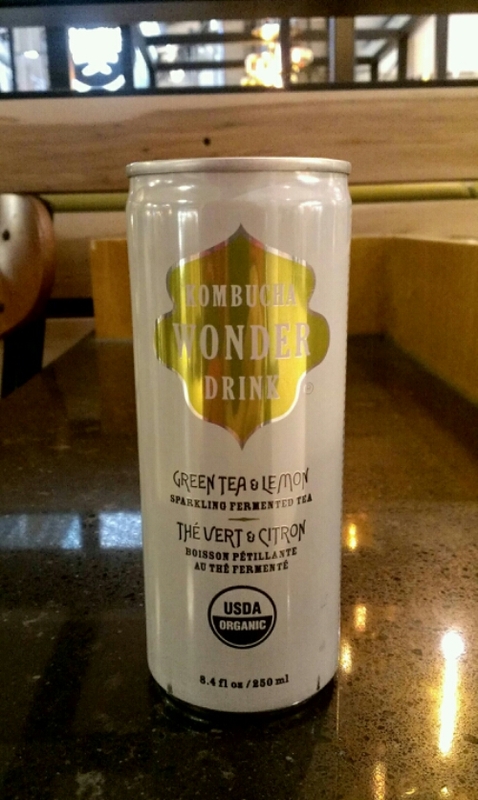 I never try this drink before (Kombucha Wonder Drink in Green Tea & Lemon), it always nice to read other bloggers reviews and thoughts!!! thank you for the honest review!! :) Hope you have a good upcoming weeeknd!!! Thanks so much, Janet!! Can you find kombucha tea in Calgary? I hope you have a good one too!